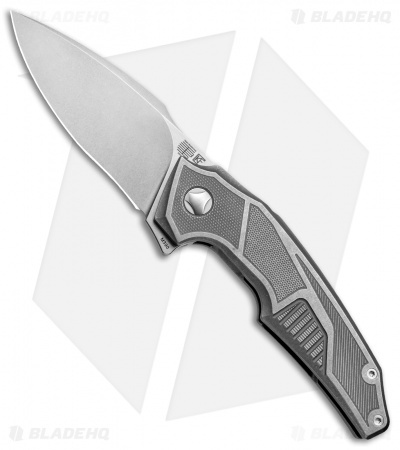 The Custom Knife Factory Muscle flipper is built tough with a Tashi Bharucha design. Titanium handles and an M390 steel blade provide a solid platform to manage any difficult cutting task. The handle is large yet maintains a comfortable profile that is ergonomic and slender. 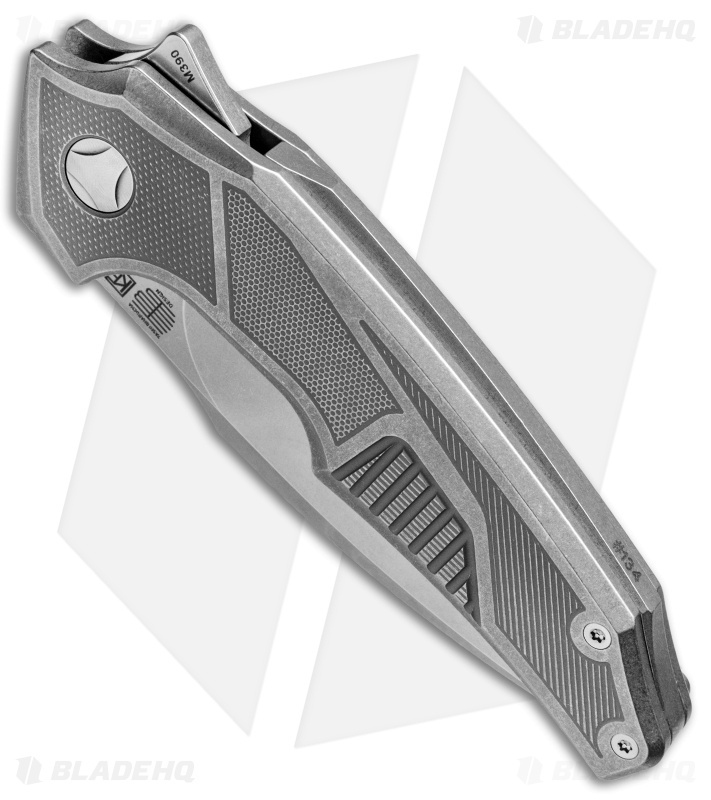 It has a milled texture for added grip and a modernized look. A tip-up carry pocket clip and full titanium backspacer finish off the design. This Muscle model has a stonewash finished blade and handle. 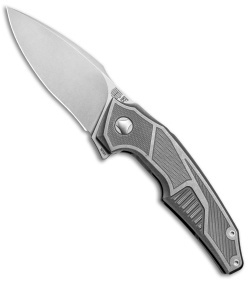 Large M390 steel blade with substantial thumb rest allows for maximized cutting performance. 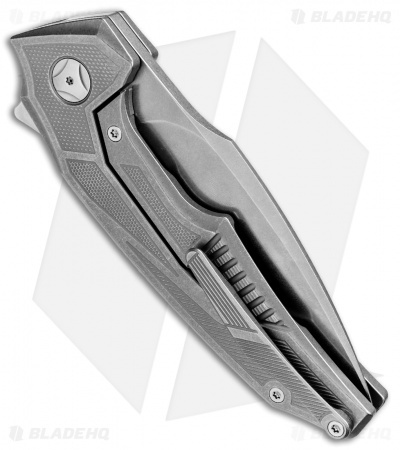 Reinforced frame lock bar with replaceable steel insert offers unrelenting blade lock up. Uniquely milled titanium pocket clip functions like a spring clip for comfort and reliability when carrying the knife.